What did you want to be when you grew up? Me..... well, that depended on what age you asked me. When I was around six or eight, my most favorite thing to do was gather all my play china, build a tent out of bed sheets and play families with my neighbor. Funnily enough, I always wanted to be the Mummy who would cook and bake and make exotic things in the play kitchen. All that changed when I was twelve or thirteen. Summers were spent in London with my grandparents and besides strawberries, trips to Alton Towers and Trafalgar Square, there was also the lure of Wimbledon tennis. I got my first crush........on a tennis player! I became obsessed with tennis. I bought my first racket, my first white skirt and wanted to be a tennis player. Even a ball girl would have been ok. I spent hours in front of the television and begged and pestered my grandparents to take me to watch a game live. Then came the modeling years. I was always tall for my age and towered over the rest of my peers at school . My family would tease me that I should become a model and the idea stuck in my head. I spent hours locked in the bathroom trying on my mum's make up and pinning my hair in different styles. I even cut my own fringe and threw the hair out of the window. That phase ended when I forgot to lock the bathroom door and my mum caught me looking like a drag queen. Finally came the time to choose my 'real' career. I was excelled at English Literature at school and loved looking for hidden meanings and messages behind words. However, my parents weren't too keen on me studying Literature at university so I finally settled on Optometry. And so I have had many such phases in life where I've constantly felt like reinventing myself, learning new skills, craving new aspirations, discovering new talents and.......just enjoying life. I wrote all this because even though I have never met Emma in real life, I am so proud that she is following her dreams and aspirations- to become a pastry chef. Emma, I wish you all the best. You have achieved so much in a short space and I can see many wonderful things in your future. 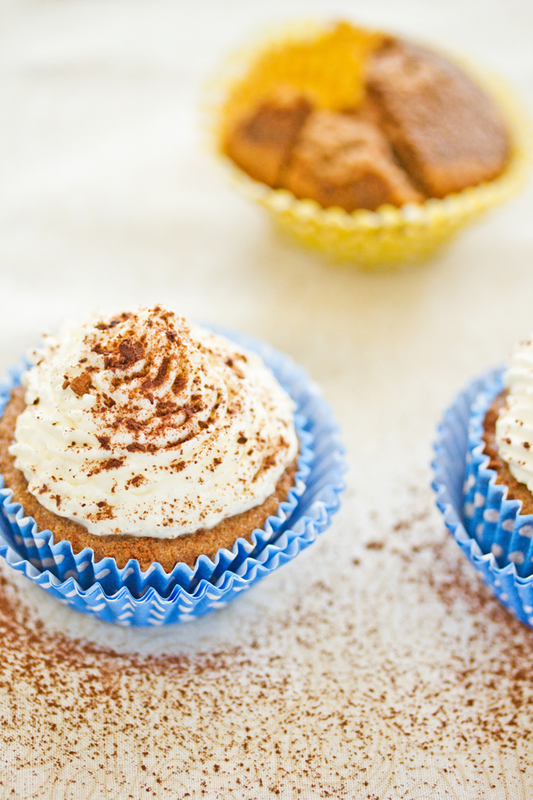 I hope you enjoy these coffee cupcakes with a light whipped cream frosting. Airy and spongy.......with just the right amount of kick. 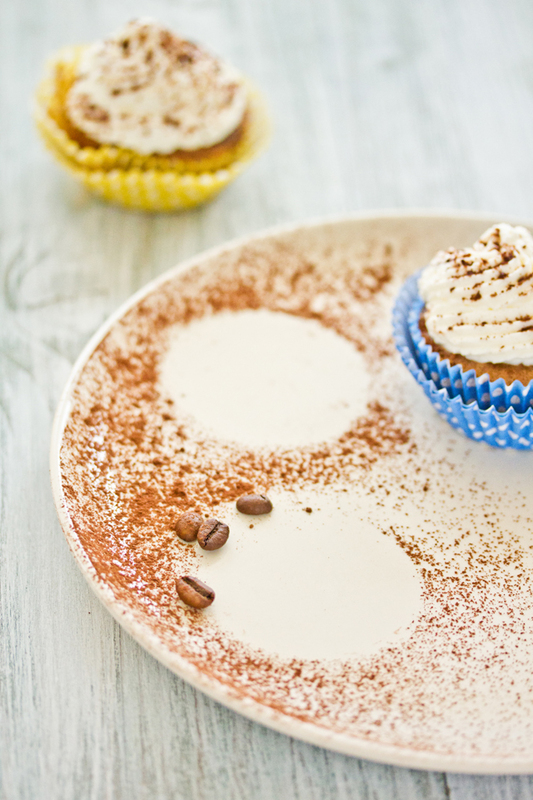 You can find the recipe for these scrumptious cappuccino cupcakes here. Also the worldwide giveaway for the Braun hand held blender is still running so if you haven't taken part yet, you can do so here. Lovely cupcakes! Thta is a flavor I particularly like. Oh how I can relate! I think it is fun to look back on our lives and see the paths we have taken and where those paths have led us. Beautiful as always! I am still trying to decide what I want to be when I grow up! Whimsical and gorgeous Sukaina, like everything you do. This is a beautiful post. I wish I had had some lofty dreams too. The ever practical me just flowed along in life... but have no regrets! How thoughtful.. Makes me wanna get up and follow my own dreams right this minute! What a lovely heartfelt post. I too wanted to study English Lit but my parents weren't keen either. Beautiful photos, Sukaina! And the cupcakes are so yummie! Two of my favourite bloggers on one page! Too bad you couldn't meet Emma at FBC - she's is delightful. Gorgeous cakes and pics as always. Congrats to Emma and your cupcakes look so good! I really loved this post - I think we can all relate to it. You're right we're always evolving and it's never too late. 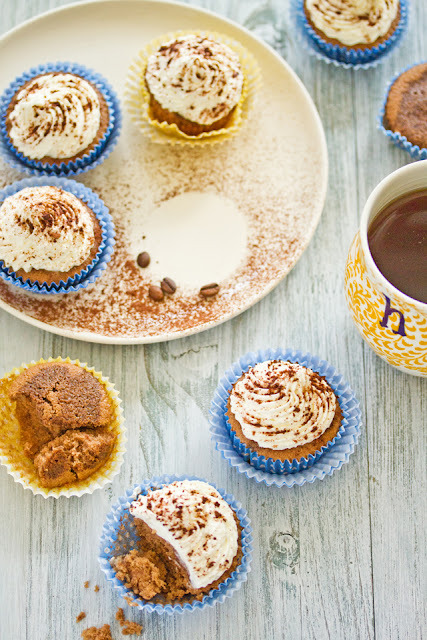 Gorgeous photos and yummy cupcakes! Oh, those cakes are simply gorgeous! I wanted to be an archaeologist and I was...for a while. Life sometimes takes you in unexpected directions! 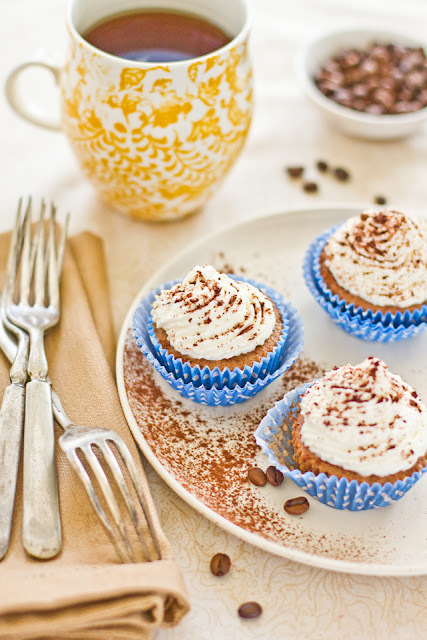 These look so good..I m a BIG fan of coffee in baking, will try these cupcakes. Funny enough I wanted to be a photographer when I grew up, but it was far too expensive to go to the school and so it never happened. It is only many many years later that I am now a photographer. I wouldn't have thought that would happen if you had asked me ten years ago, but you never know what life brings you I guess. I'm so glad I found your blog! Absolutely gorgeous work you do! Thanks for all the sweet comments everyone. My other half always says to me that it's photography now.....wonder what next!! I was like you, I've changed my mind a million times on what I wanted to "be." This is such a beautiful post, those cupcakes look so wonderful! So glad I found your blog...it was sent to me via Stumble! I always knew I wanted to be a mom...and am so grateful to be living that dream. This reminded me though of 5th grade when I had an ongoing argument with some boys in my class. I said I wanted to be a police officer, and they assured me that "girls couldn't be police officers" which infuriated me!! I didn't spend much time wanting to be one..I think it only came to me since back then my favorite show was Charlie's Angels and they made it look so glamourous. LOL!! I ended up in the Navy for 4 yrs...wonder if there is a correlation? I used to play school for hours and hours on end, then did end up going to school for elementary education, taught in the public schools for 5 years and am now homeschooling my 3 girls. This has been fun!! Off to check off your site. What a sweet post, I think I'm still trying to figure out what I want to be when I grow up! That's what's wonderful about life, you get all the chances you want to re-invent yourself. What a nice story and the photography is spectacular as always. Just "stumbled" across you. What a gorgeous blog! I truly cannot remember what I wanted to be when I was little but as an adult I am still dreaming. Still not sure I've grown up! 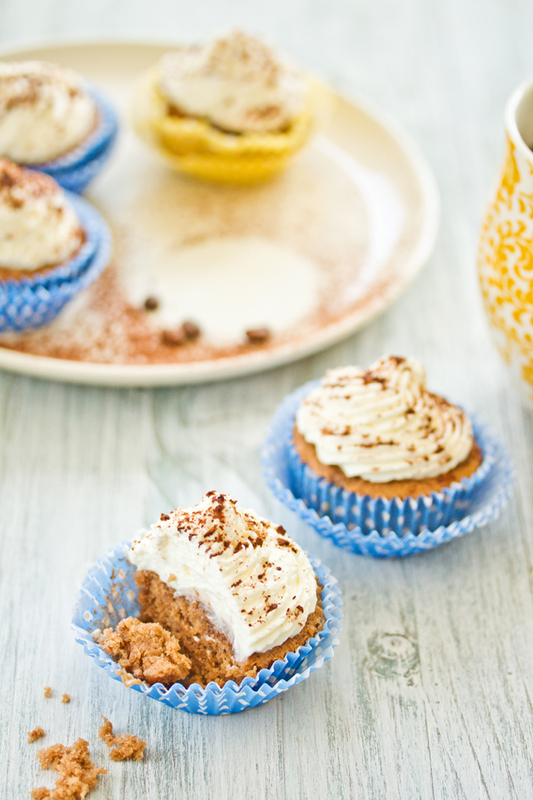 But a plateful of cappuccino cupcakes topped with whipped cream and I'll dream away the afternoon. These look luscious and just perfect. A favorite flavor. Coffee is almighty haunting take cover multifold folks whether they are drinking heartfelt delicate or gelid. Now I would like to also add that since Valentine's Day is coming, if you are looking for the right words for your loved one, then check out these happy Valentine's Day wishes and Valentine messages. i love cupcakes. i am very thing full for this.